IPad pro/Air/mini/iPad, etc, IOS8.0 and above system version. After plugging the USB flash drive in the iPhone, it will pop up an APP window. If the process of data transfer suddenly interrupts and generates 0 KB file, you should delete it and then the thumb drive can work normally. We are very understanding and will do everything we can to resolve your issue. SanDisk Original, Lifetime Warranty, Free Shipping! Type:USB flash drive. Flash drive "compatibility with a variety of formats". Supported Formats: "from a PC to an iOS flash drive, it plays on iOS devices via the app". Port:USB 3.0. Other: VCF, ZIP. SanDisk 32GB iXpand USB 3.0 Lightning Flash Drive for iPhone New Open Box Memory. Shipped with USPS First Class Package. Touch ID allows you to protect access to the app. File and folder security as well as the ability to lock your i-FlashDrive MAX to prevent unauthorised access. to both parties. • Rotate design: easy to carry and use, avoid to squeeze. Stylish lightweight; portable,new concept modeling,classic fashion,compact Brisk. 1PC x USB Flash Drive. Support solution for Linux kernel version 2.4 or later version. 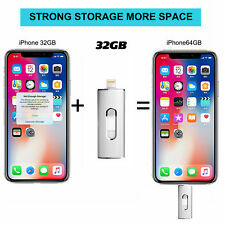 Storage Capacity:32GB. Easy plug and play installation. Unlike drives that connect directly to your phone or tablet, the Photo Backup Stick uses your Windows computer to help back up your photos and videos. Simply plug the stick and your phone or tablet into your computer and run the backup app. PNY 32GB USB 3.0OTG Flash Drive NIB New Duo Link Made for iPhone and iPad. Condition is New. Shipped with USPS First Class Package. 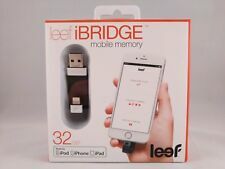 Compatible with the following models : iPhone X iPhone 8 , iPhone 8 Plus iPhone 7 , iPhone 7 Plus iPhone 6 / 6s, iPhone 6 Plus / 6s Plus iPhone 5, iPhone 5S, iPhone 5C iPad mini iPad Air, iPad Air2 iPad iPad 4 iPad mini 2 / 3 / 4 iPad Pro iPod touch 5 Prackage : 1 x Flash Drive USB Memory Pink. IPad Air, iPad Air2. iPad iPad 4. iPhone 5, iPhone 5S, iPhone 5C. iPhone 8，iPhone 8 Plus. iPhone 7, iPhone 7 Plus. iPhone 6 / 6s, iPhone 6 Plus / 6s Plus. iPad mini 2 / 3 / 4. iPad Pro (2017). 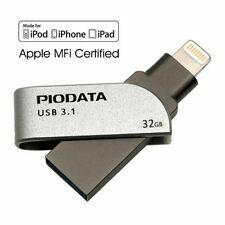 Equipped with OTG to USB 2.0 adapter. 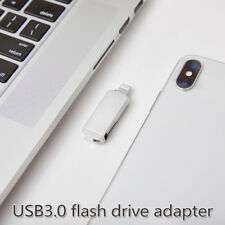 The standard USB is compatible with all USB based computers and OTG enabled Android phones, and at the other end it works with iPod touch, iPhone and iPad. 32GB USB flash drive.